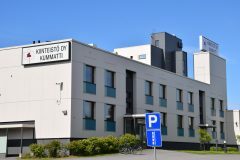 Kiinteistö Oy Kummatti is an apartment rental business limited liability company, which offers quality and reasonable priced rental apartments in area of Kummatti, in the center of Raahe and in Pattijoki. In a versatile a thousand apartment selection, there are suitable homes for families, singles, seniors, students and special groups. 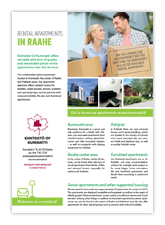 We take care of housing rental, maintenance and hosting-related issues. 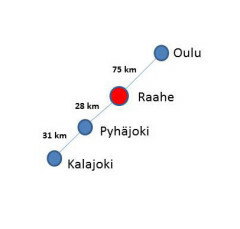 Welcome to live and enjoy in Raahe! 10.4.2019 the office will be open at 10 am. 30.4 – 1.5.2019 the office is closed. Our homepage has now our own chat-service. Remember that you can also receive your rental invoice electronically by making an e-invoice agreement in your online bank. E-invoice is an ecological, easy and safe way to handle rental payments.